Michael Barton, floor care/maintenance person at Parkridge Specialty Care in Pleasant Hill, met Care Initiatives annual challenge to come with a T-shirt slogan for 2017. 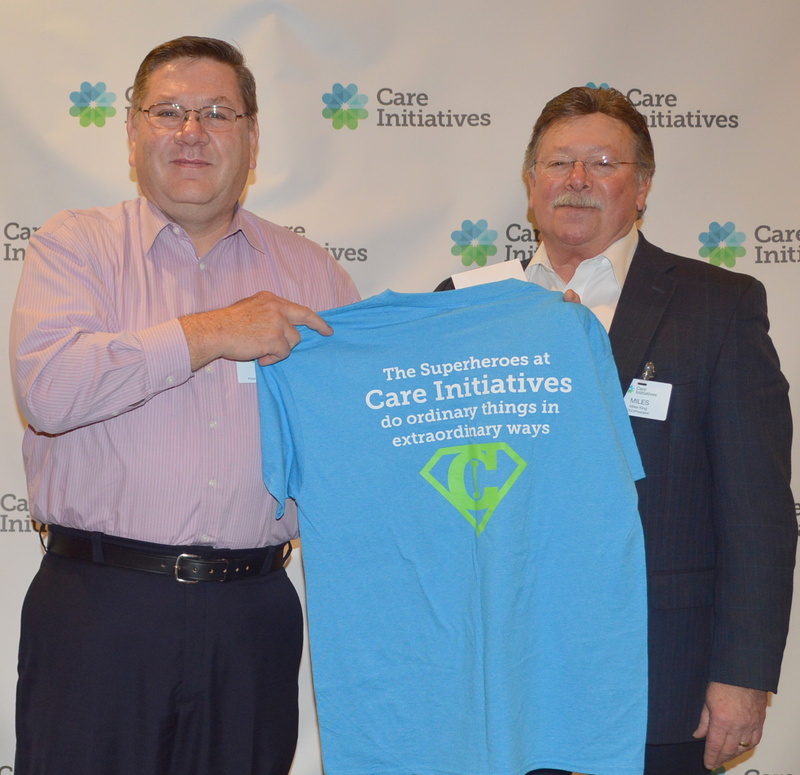 Based on the theme super heroes, Barton reflected upon his fellow employees and came up with, “The Superheroes at Care Initiatives do ordinary things in extraordinary ways.” He was announced the winner of the contest at the Care Initiatives annual award brunch Friday, Dec. 16 in West Des Moines. Based out of West Des Moines, Care Initiatives owns and operates 50 nonprofit caregiving locations providing skilled nursing care, rehabilitation, Alzheimer’s/dementia, assisted living and hospice care throughout Iowa. For more information, visit careinitiatives.org or call 515.224.4442.